For W aficionados such as us, it may not be the most wonderful time of the year – that is, of course, reserved for tip-off of the season itself. But the kickoff of the free agency period certainly qualifies as close as one can get. Given the recent news we have heard regarding Liz Cambage and Maya Moore, we all waited with baited breath to see if any news would break regarding either of them when the calendar hit February 1. Nothing broke regarding either Moore or Cambage on the first day of the new month, but there was this in terms of the four-time WNBA champion with the Minnesota Lynx that surely raised plenty of eyebrows. Maya Moore’s latest Instagram post from today. That stemmed from earlier rumors that she either wanted to be traded, will sit out the season, or would retire entirely. 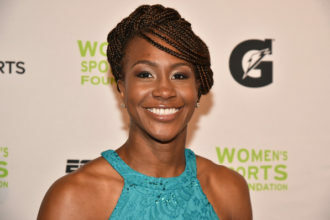 Moore had a lesser role than expected in last year’s All-Star Game despite winning her third consecutive All-Star MVP, and did not participate with Team USA in the FIBA World Cup. If that was not a reference to Moore, who was it a reference to? 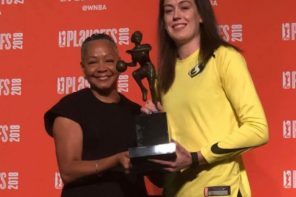 Some believed it may have hinted Cambage or even Tina Charles, who was cored by the New York Liberty in the same way Moore was in Minnesota. Some believed that would make sense especially with the Liberty under new ownership and likely moving out of Westchester after the 2019 season after the less-than-memorable 2018 New York had. 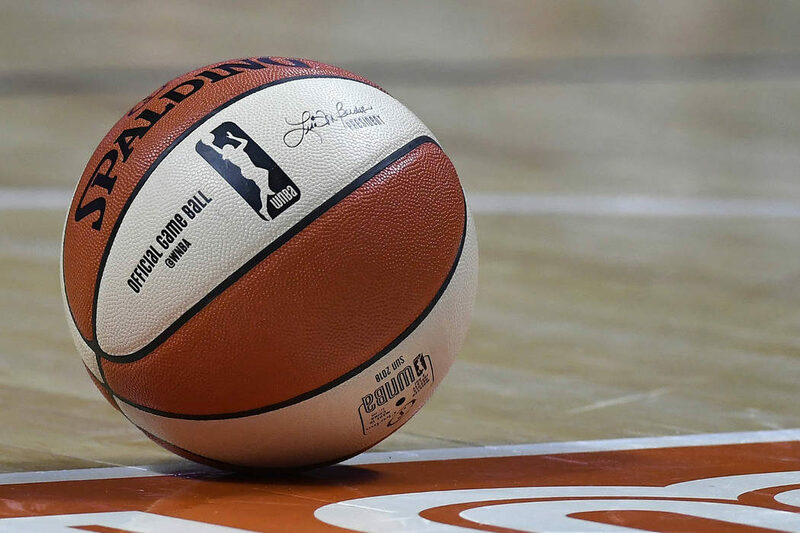 The Liberty were one of three teams – along with the Atlanta Dream and Connecticut Sun that did not announce any signings on the first day of free agency. That of course meant that there were nine teams that did. The defending champion Seattle Storm announced that they re-signed Crystal Langhorne as well as Mercedes Russell. Both were part of last year’s team that won the WNBA title and add depth for Seattle at the frontcourt. Crystal is one of the most consistent players in the league and the experience she brings is immeasurable. She has been an integral part of our success. Mercedes was an exciting pick up for the Storm last year and we can’t wait to watch her growth in year two. Langhorne has a 56.9 career field goal percentage which is third highest in WNBA history. Russell shot 47.1 percent from the field in her rookie campaign. The team that the Storm defeated in last year’ WNBA Finals, the Washington Mystics, also made a notable signing. After initial reports that indicated the Liberty had agreed to a deal with Natasha Cloud, the Mystics made sure it remained “cloudy” on the southern end of the Acela Corridor. OFFICIAL: @T_Cloud4 is staying in the district. Cloud is coming off a 2018 where she made a run at Most Improved Player of the Year. Her improvement in all phases of the game was a huge boost to our team last season and was recognized league-wide as she finished second in voting for the WNBA’s Most Improved Player. She’s one of the top defensive wing players in the WNBA. The Mystics were not the only team that pulled a proverbial rug out from another team. One of the early rumored free agency moves appeared to be the Phoenix Mercury bolstering its team by adding Odyssey Sims from Los Angeles. The Mercury, always a team in contention, appeared to take a big step towards getting back to the WNBA Finals. Then, the Sparks announced that they had matched Phoenix’s offer sheet for Sims and would make sure she stayed in the City of Angels. In addition to Sims, the Sparks also re-signed Karlie Samuelson. She has played overseas in Belgium and has averaged 16 points per game while shooting 53.2 percent. Karlie is a player that can stretch the defense with her shooting, an excellent teammate and puts the work in every day to get better. There were a pair of signings made by Arizona’s resident WNBA team that the purple and gold could not pull a surprise out of – and both were notable. The Mercury announced that they re-signed Briann January to a multi-year deal. January’s bread and butter throughout her career has been defense and has been named to the league’s All-Defensive First or Second Team every year from 2012 to 2017. She is also coming off a 2018 where she posted a career-best 47 percent from three-point range. 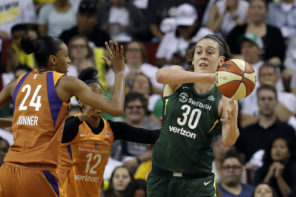 She demonstrated last season that she is the best individual perimeter defender in the WNBA, and on the offensive end led the league in three-point percentage as a perfect complement to our big three of Taurasi, Griner, and Bonner. All Bri wants to do is win and she is exactly the type of player we want in Phoenix. Phoenix was not done as they also announced they had re-signed Yvonne Turner, who has played a role for Sandy Brondello’s team primarily off the bench. Turner will be in her third season in the WNBA in 2019 and has played in 66 of 68 games in her career with the Mercury. The Aces have been a team that seemingly have been at the center of the Cambage sweepstakes, so lots of fans would be keeping a close eye on them and Los Angeles to see if the big news would break on February 1. Las Vegas, in the meantime, did make a free agent signing by re-signing Dearica Hamby to the team. While averaging just over seven points per game, she had a career-high in field goal percentage, draining nearly 53 percent of her shots from the field and also shot 74.2 percent from the free throw line. She has proven over the years that she is a quality contributor in the WNBA, and we believe that as she continues to work on her game, she will become even more of a force. To say that it is cold currently in Minnesota is an understatement. Those in the Land of 10,000 Lakes are used to brutal winters, but they are not always used to polar vortexes that bring temperatures all the way down to -50 degrees. Then they made it official as they signed Karima Christmas-Kelly, now formerly of the Dallas Wings. She has made five postseason appearances in her career, including winning a championship with the Indiana Fever in 2012. In 2016, she averaged over 12 points a game, nearly six rebounds, and a pair of assists while starting in all 34 contests for Dallas that year. Karima is known to be a fierce competitor who is also a tremendous teammate. These qualities, along with her versatility on the court offensively and defensively, make her a valuable addition to the Lynx roster. I have been welcomed with open arms and I really appreciate the ‘family’ feeling I got from the beginning of this process. 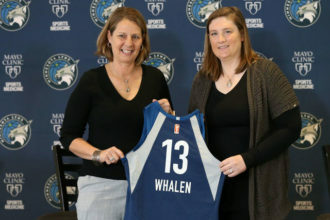 I’m both thankful and hungry for the opportunity to play in a Minnesota Lynx jersey. As for Christmas-Kelly’s now former team that has had quite the eventful offseason, Brian Agler’s Wings made a trio of signings to start free agency – all re-signings as Glory Johnson, Cayla George, and Kayla Thornton all re-entered the fold in north Texas. The 2019 season will be Thornton’s fourth in the W. In 2018, she averaged over nine points and four rebounds (both career-highs) while going 86 percent from the free throw line. She has great potential in the WNBA. My goal is to help bring the est out of her. She is a talented and versatile offensive player. Johnson played in 29 games last season including scoring 16 points in a contest against the Storm in mid-August and twice recorded five steals. She is one of the game’s elite rebounders. Her energy and athleticism, along with an evolving offensive game, make her one of the league’s premier forwards. George had a career season from the field in 2018 as she went 43.6 percent from the floor – including a season-high 12 points against Los Angeles in mid-July. Cayla is a skilled player who can provide productive minutes at the four or five position. She is also the consummate professional and a great teammate. She proved to be a key contributor last year and I look forward to seeing her back in Dallas this spring. Dallas was one of two teams who began the free agent period by making three signings. The other – Pokey Chatman’s Indiana Fever. Those three signings for a young Fever team still primarily building through the draft, were Erica Wheeler, Natalie Achonwa, and Shenise Johnson. Wheeler, for her career, has topped 1,000 career points and 400 career assists. She has also managed a franchise record 3.7 assists per game in her career. Erica’s growth is in line with her commitment to be a student of the game, to maintain her energy and her work ethic; and to be a great teammate. I look forward to her leading the charge. While less-ballyhooed because of the Fever’s on-court growing pains, Achonwa had a notable season in 2018. She posted a career high 10.3 points and started every game for Indiana last season. She’s a blue-collar, fundamentally sound, high I.Q. player that has continued to expand her game every year. She is truly a star when it comes to the intangibles. Johnson averaged over 11 points per contest in 2017 prior to an ACL injury. She’s a dynamic veteran who gives us size and speed, along with the ability to space the floor and create offensively. Up I-55 from Indiana, plenty of eyes will be on the Chicago Sky, who themselves were rumored to be part of a three-team deal with the Liberty for Cambage. The Sky appear to have made two signings – one of which has yet to be officially announced by the team. The signing the Sky announced was that of Cheyenne Parker. She will be in her fifth season with Chicago and averaged career-highs in several categories – including points with 10 and free-throw percentage by shooting over 71 percent from the stripe. We want to see her continue to blossom in the Chicago Sky uniform. We know that the sky is truly the limit for Cheyenne this season, and we plan upon building that potential in 2019. It has really become like a family, and the chemistry I have built with each one of my teammates will continue to grow and flourish. I look forward to getting better with the new head coach and staff. I’ve been through war with my squad and the best is yet to come. The one signing that the team itself did not announce but was reported by various outlets, was that of Allie Quigley, one of the most proficient three-point shooters in the game. In 2018, she shot a robust 42 percent from the field along with averaging over 15 points per game. Quigley also shot nearly 86 percent from the free throw line and averaged just under 30 minutes per game.